This is definitely one of those vague, more difficult to classify recipes. 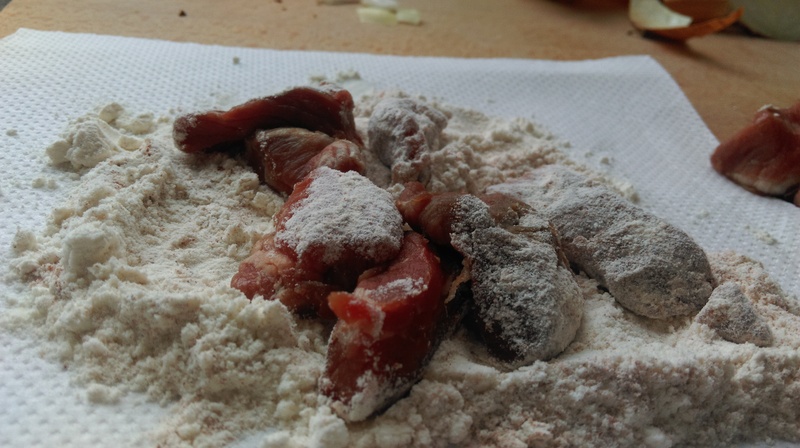 It’s certainly a rich dish, and very simple to make. More than many casseroles I really tried to let the wine lead the flavour rather than simply complement it. 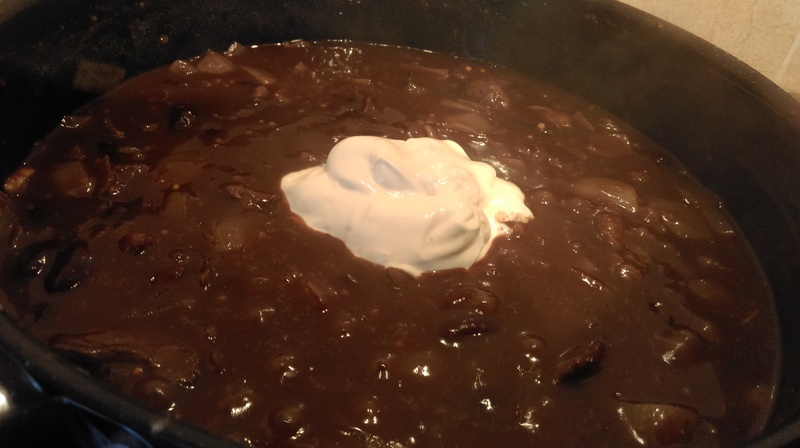 A point I will note, however, is that I believe I made a mistake in stirring in the Sour Cream during the cooking process, as I think this would be better left for the end after serving. 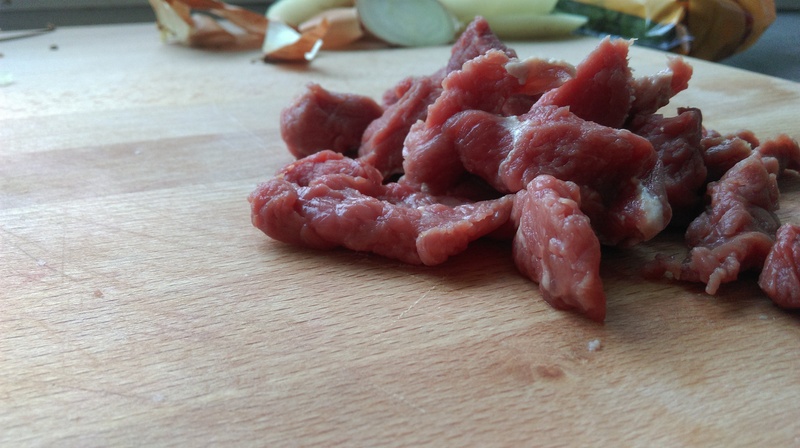 Slice your beef into fairly thin strips, then coat in flour and season. 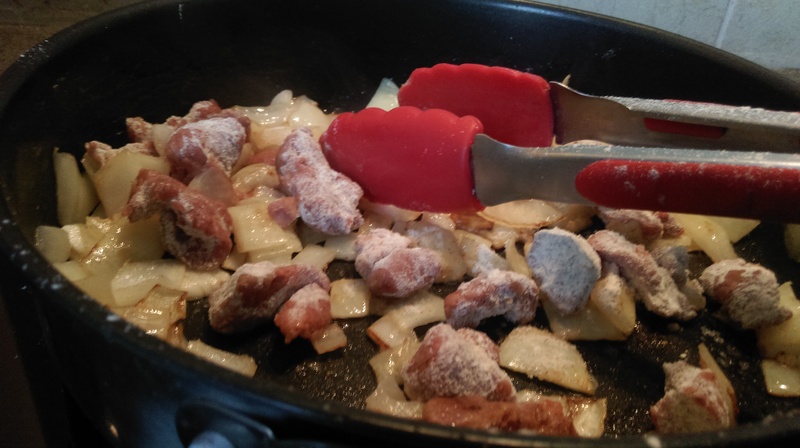 Melt some butter in a saucepan and add the onion and beef, frying gently until they both darken. Add the mustard seeds and fry until they begin to snap and pop. 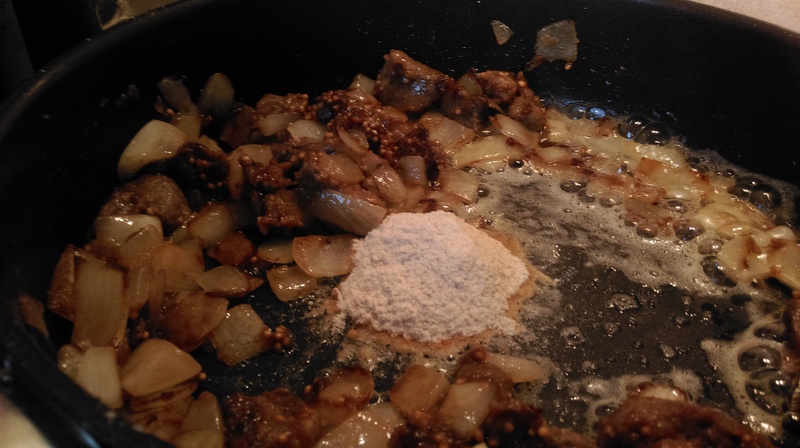 Add a little more butter and then a similar amount of flour, stirring into a beefy, oniony roux. 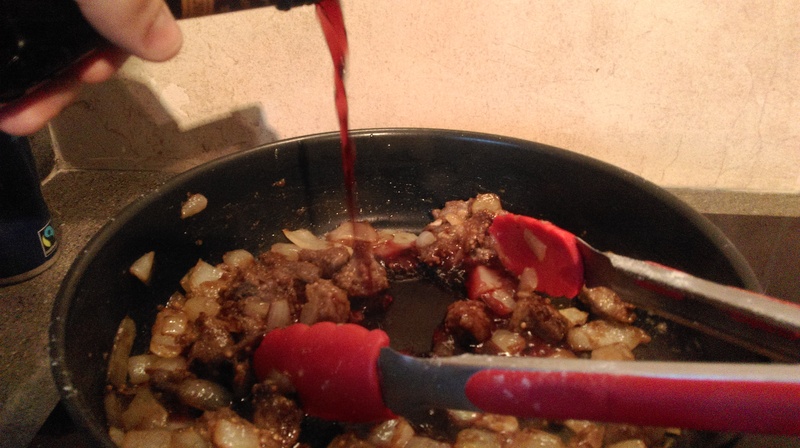 Pour in about a glass of red wine and stir until you have a fairly thick mixture. 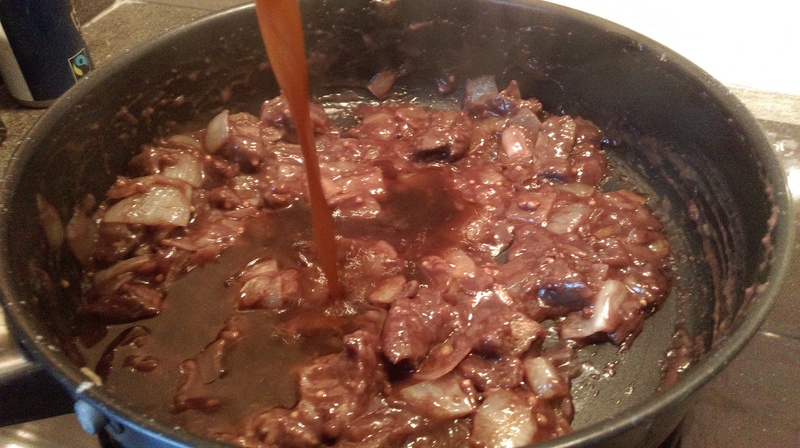 Add the beef stock until you have as much liquid in the pan as you wish to end up with in the finished casserole. 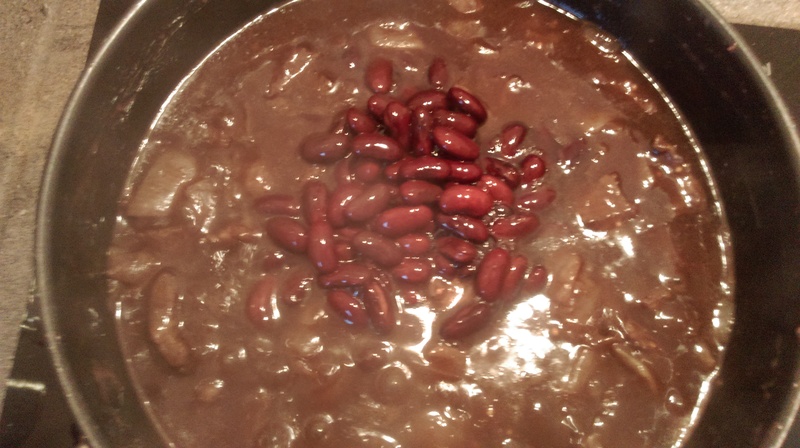 Add the kidney beans and whatever other additions to the casserole you wish, and simmer on a low heat for ten minutes or so, until it’s reduced to your liking. 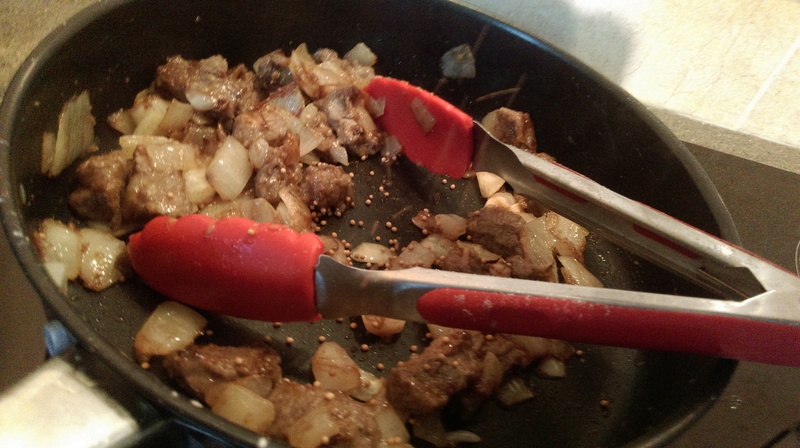 As you can see, I added the sour cream at this stage. Whilst it tasted perfectly pleasant, I think it would be better to dollop some on upon serving. 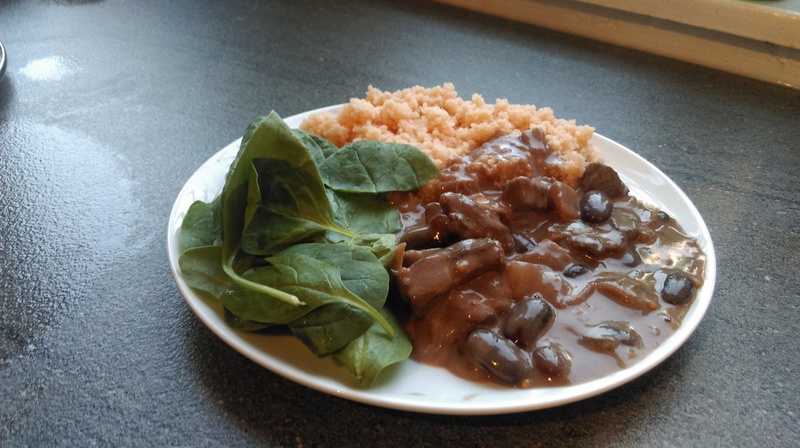 Serve with some carbs – rice, mashed potato, cous cous are all good options, and maybe some salad or steamed vegetables. Dollop on the sour cream and you’re ready to go! This will keep in a sealed container for a few days in the fridge, just reheat in the microwave and all will be fine. 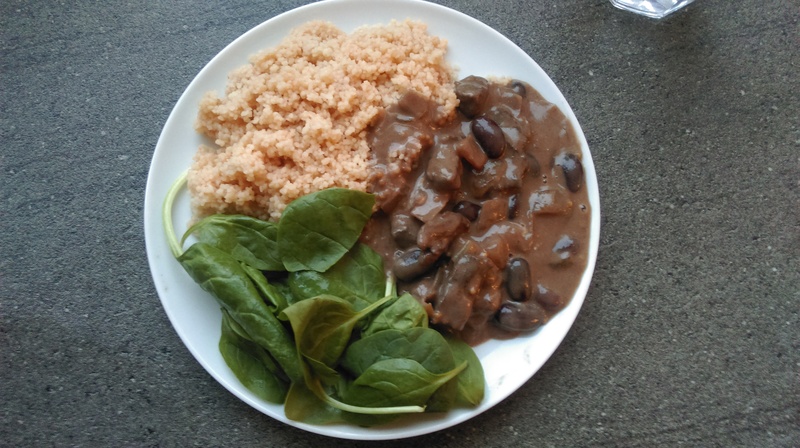 Do you have a similar recipe? What would you do differently? Let us know in the comments! 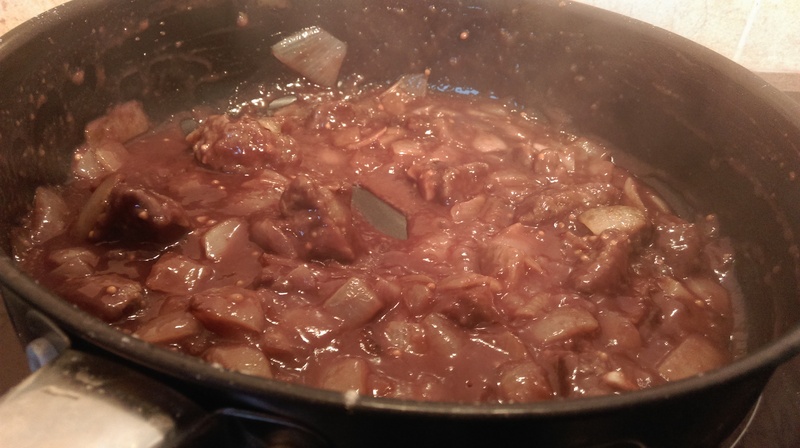 Posted in Beef, Guesscipes, Mains, One PotTagged beef, casserole, cooking, guesscipe, one pot, recipe, red wine, rich, sauce, steakBookmark the permalink.